1) RAMSAY, W. R. H., GABSZEWICZ, A. & RAMSAY, E. G., 2001. 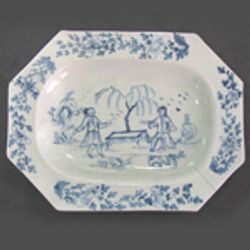 Unaker or Cherokee clay and its relationship to the ‘Bow’ porcelain manufactory. Transactions of the English Ceramic Circle 17: 474-499. This, our first research paper, accepts as an initial premise, the claim in the 1744 ceramic patent of Edward Heylyn and Thomas Frye The material is an earth, the produce of the Chirokee nation in America, called by the natives ‘unaker’, the propertys of which are as follows, videlicet,……Based on the patent’s wording, the geology and the physiography of the Carolinas, coupled with historical documents including the diary of Thomas Griffiths (agent for Josiah Wedgwood) we set out for the Appalachians in search for the possible location of this clay supposedly used in Bow first patent porcelains. 2) RAMSAY, W. R. H., GABSZEWICZ, A. & RAMSAY, E. G., 2003. The chemistry of ‘A’-marked porcelain and its relation to the Edward Heylyn and Thomas Frye patent of 1744. Transactions of the English Ceramic Circle 18: 264-283. Predicated on the work in our first paper, where we demonstrated that the clay referred to in the 1744 patent was a china clay (90% halloysite, 10% kaolinite), we present in this second paper a chemical analysis of this clay. 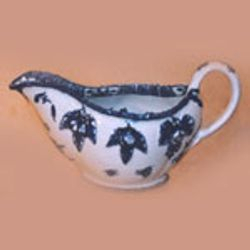 In addition we calculate a theoretical composition of any porcelain made according to the 1744 patent using 50% by wt Cherokee clay and 50% by wt any reasonable mid Georgian lime-alkali glass. Using ternary discriminant diagrams we are able to show that there is but one group of English porcelains which conforms chemically to the theoretical composition calculated by us. This group is the hitherto little known and unattributed ‘A’-marked porcelains. Based on this research work we conclude that we have identified the ‘long lost’ products of the 1744 patent of Heylyn and Frye. 3) RAMSAY, W. R. H., HILL, G. & RAMSAY, E. G., 2004a. Re-creation of the 1744 Heylyn and Frye ceramic patent wares using Cherokee clay: implications for raw materials, kiln conditions, and the earliest English porcelain production. Geoarchaeology 19: 635-655. Here we decided to put to the test the various claims circulating in the English ceramic literature that the 1744 patent was not worth the paper it was written on and that the unaker based formula was almost certainly unworkable. Using Cherokee clay and a lime-alkali glass frit we produce analogue Bow first patent porcelains following the specifications contained in the 1744 patent. The wares were fired to the bisque (~950°C), glazed using a clay-glaze mixture, and then fired to a ‘heat-work’ level of Orton cone 9 – 90° deflection at 150°C per hour (1279°C). Modal mineralogy of the fired body comprises Ca-plagioclase and two glassy phases, one of which is the remnant glass frit and the second the melt phase. We conclude that the 1744 patent was in fact a practical working recipe and represents a landmark document in English ceramic history. 4) RAMSAY, W. R. H., HANSEN, J. & RAMSAY, E. G., 2004b. 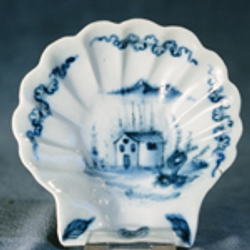 An ‘A’-marked covered porcelain bowl, Cherokee clay, and colonial America’s contribution to the English porcelain industry. In Ceramics in America, Robert Hunter, ed, Chipstone Foundation, 60-77. 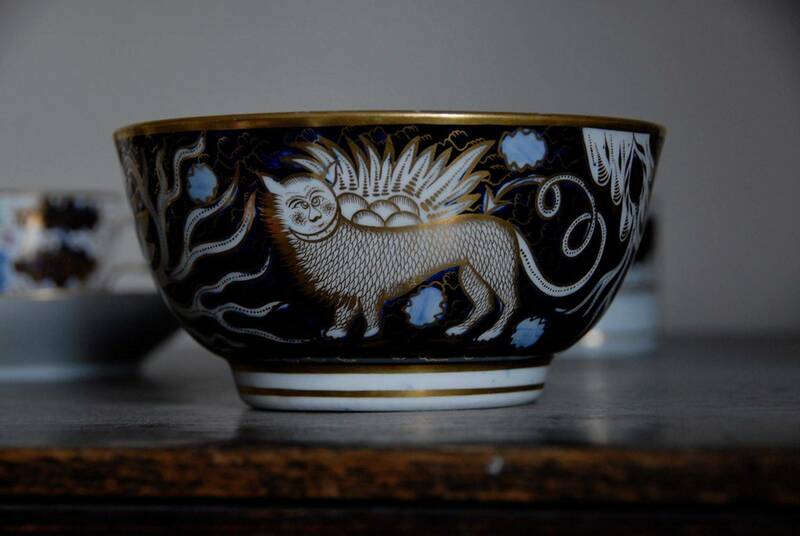 Here we investigate one of the iconic pieces of English ceramics, namely the covered sugar bowl in the collections of the Melbourne Cricket Club Museum. We discuss the decorative origins of the four brilliantly painted vignettes on body and lid and we present a chemical analysis of both the porcelain (~60 wt% china clay, ~40 wt% lime-alkali glass) and its associated glaze. 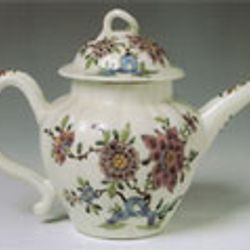 We suggest that the Philadelphia ceramic tradition may have been more influential in the development of the earliest porcelains in the English speaking world than has been recognised to date. 5) RAMSAY, E. G. & RAMSAY, W. R. H., 2005. 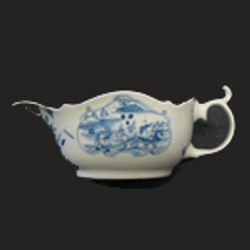 An ‘A’ marked porcelain tea canister: Implications for early English porcelain production. World of Antiques and Art, August 2005 – January 2006, André Jaku Publisher, New South Wales, Australia, pp. 76-79. 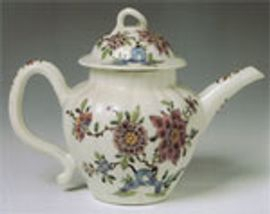 This contribution investigates an early English ceramic tea canister held in the collections of the National Gallery of Victoria. Based in connoisseurship and composition we accept that the canister is of Bow attribution and from its composition we show that it has links with Bow first patent porcelains (‘A’-marked group) and has a moderate magnesian composition (4.7 wt% MgO). We present two possible theoretical recipes for the porcelain body, one of which involves the use of steatite. Based on subsequent comments by Professor Ian Freestone we now accept that of the two, the steatitic recipe is the more likely (see Ramsay and Ramsay 2007a,b). We conclude that this tea canister represents a key link piece between Bow first patent and second patent ceramics, and we propose that Bow was producing magnesian wares by the mid 1740s.